Relocation can be a stressful and anxious experience but not when you hire a dedicated professional who understands what you will encounter. 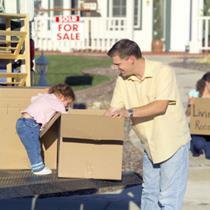 I have firsthand knowledge of the complexities of moving a military family. One of the most important aspects of my job is to make relocation a worry-free experience. I know what to expect, who to call and what to do. As a registered service provider with Brookfield (IRP), I understand the allowances and processes of a posting relocation and works collaboratively with IRP to provide a dynamic service. • Referrals to local professionals. • A referral to a reputable REALTOR® in your destination city who I am confident will provide you with exceptional service in finding your new home. I am very proud to be a retired veteran and to have the opportunity to stand behind our troops and community by supporting Military and community initiatives within Annapolis Valley area. Military personnel sacrifice everything for their country; I feel honored to have the privilege to provide a service to those who fight for our freedom.